Happy 1st Birthday to the WiscoSportsAddict Golf Blog! One year and a day ago, I had the idea to start a blog. My girlfriend at the time said it would be easy, and I had enough free time that I figured it would be a fun little hobby on the side. A lot of people ask me, “Why is your blog called WiscoSportsAddict, when all you write about is golf? Why don’t you call it WiscoGolfAddict?” That is an excellent question, and one I will explain briefly. I started this blog with the intention of writing about all the different sports that have occupied my time away from work throughout the years: Golf, softball, volleyball, basketball, football, scuba diving, skiing, working out and running, etc. etc. etc. The more I wrote, though, the less I thought about writing about anything other than golf, which is [obviously] my true passion in the sports world. Never did I think this little blog idea would grow as quickly as it has! 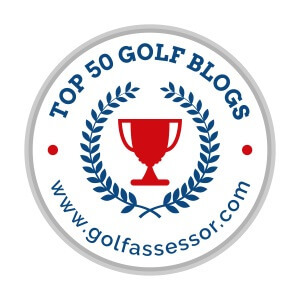 In just one year, it has gotten more than 8,000 visits, and some truly remarkable golfing and writing opportunities have presented themselves. First and foremost has been my alliance with Brian Weis and his GolfWisconsin and GolfTrips family of web sites. If you do not already visit those sites on a regular basis, I urge you to. They are a fantastic resource for course news and reviews, industry updates and entertaining articles from talented writers. I have had a lot of fun working on this site, and I hope you all have enjoyed my reviews and creative writing, too. Here’s to the next year of writing. Hit ’em straight! But I'm sure you and Dan have saved me from losing at least two or three more, Jason. Good times!